This triple milled soap is perfect for the friendless who enjoy special baths on a Friday or Saturday night, and hell, why not Monday too? It can help you feel better about yourself in a way only cunning packaging and a nice stick of smell really can. 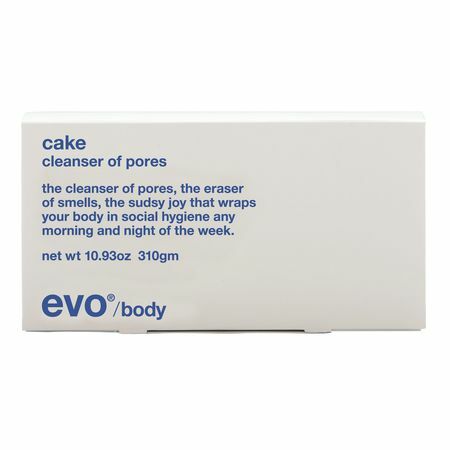 With a ph neutral formula and an smell so delectable you'll be swearing all the way round to nana's just so you can get your mouth washed out, Evo Cake will become the first thing you reach for in the shower. Directions; grab cake, rub vigorously against moist body, rinse. leave shower, dry. put clothes on. go out smell good. be successful !